Your New Favorite Fish Feeder: The BoJo Chainlight Fishlight – The Bo-Jo Fishlight | The dock light that every pond and lake needs. 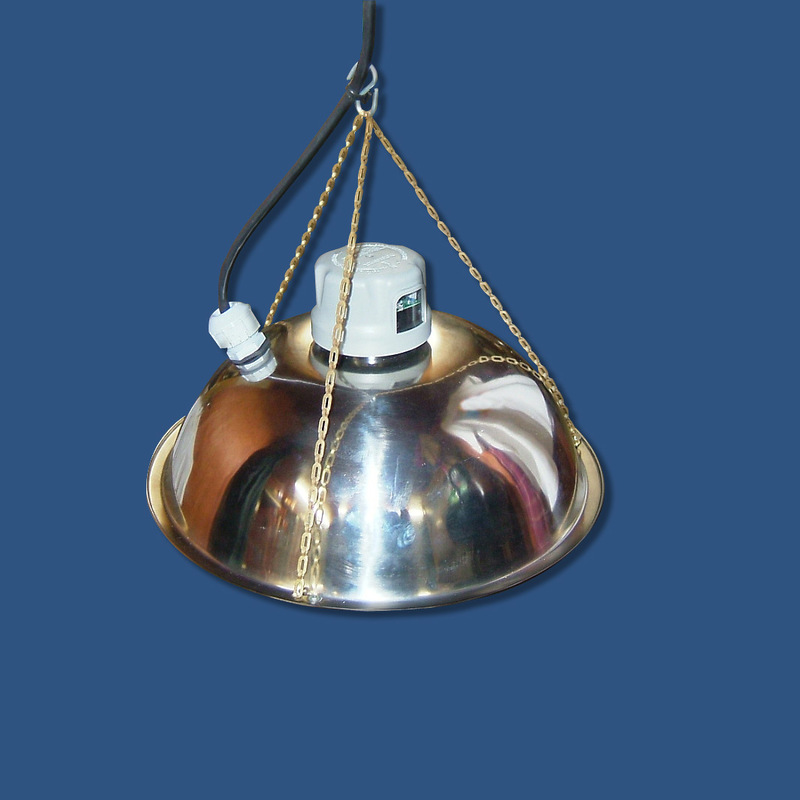 This is the newest model of our fish attracting lights, which hangs from three chains holding a light reflector with two bulbs and a spinning, bug-whacking set of nylon rods. The built-in photo cell allows the product to turn into an automatic fish feeder, as it automatically turns your lights on at dusk and off at dawn. Rotating nylon sets of wands wounds or kills bugs, which drop into the water to the waiting fish. The fish quickly learn that this is a terrific nighttime feeding station! Not only does this enhance fishing at night, but it also greatly boosts daytime fish catching as well. Fish learn where they can rely on food, and they begin to migrate to this area. Suspend your light two to three above your pond, lake, river, stream or fish cage. Suspend your light so that the bottom of the dome is between eighteen inches and 3 feet above the water surface of your pond, lake, river, stream or fish cage. 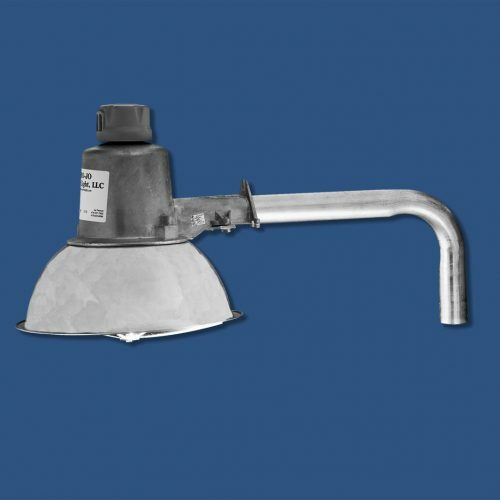 Each Bo-Jo Fishlight is manufactured in the USA from stainless steel, aluminum and galvanized metal, offering a lifetime of reliable service in fresh and/or salt water environments. 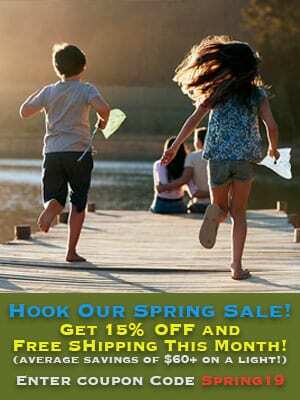 We happily grant a two-year warranty on your dock lighting unit.